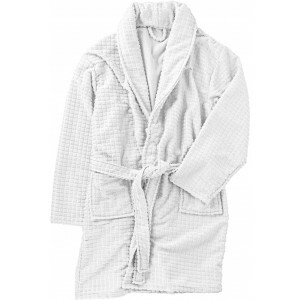 Bloomington ladies bathrobe. Super soft ladies' bathrobe with satin tape details on sleeves and pockets. Shawl collar, locker loop and self fabric belt. Presented in a Seasons gift pouch. Exclusive design. Coral fleece of 100% Polyester 245 g/m2. 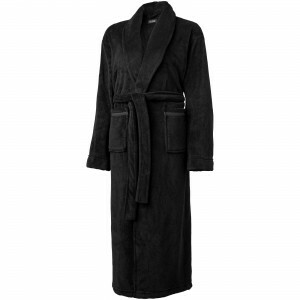 Barlett men's bathrobe. 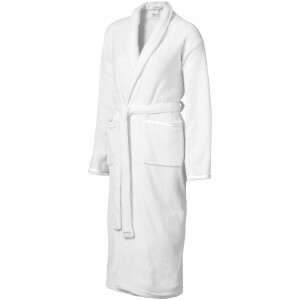 Super soft men's bathrobe with cotton tape details on both pockets. Shawl collar, locker loop and self fabric belt. Presented in a Seasons gift pouch. Exclusive design. Coral fleece of 100% Polyester 245 g/m2.